"He was saying that his Twitter account was going a bit mental alright!" Edinburgh fans were livid about it, and many more - including English rugby pundits - joined the chorus. 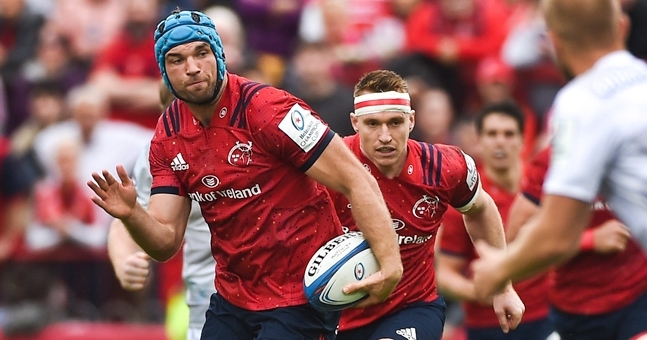 Late in a gripping Champions Cup encounter between Munster and Edinburgh, on Saturday, Rhys Marshall was all set to concede a penalty that would put the Irish province in a spot of bother. Moments later, prop Pierre Schoeman laid a needless shoulder on Tadhg Beirne and the penalty was reversed. Munster went up the other end of the pitch and Keith Earls scored what proved to be the matchwinning try. Edinburgh's Richard Cockerill lamented the call but was not too harsh on Beirne. Other's were not as forgiving and the Munster lock copped some mighty grief for what many considered to be a flagrant dive.  That penalty, Munster's victory and Earls' try-scoring magic were all discussed in the latest episode of Baz & Andrew's House of Rugby [from 18:00 below] as centre Rory Scannell joined Barry Murphy and Andrew Trimble on the phone for a chat. 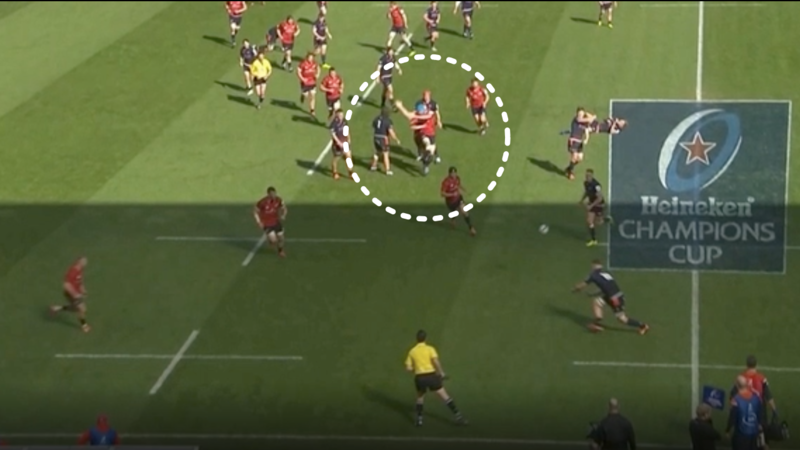 Scannell raised a good point, in his chat with Trimble and Murphy, that a lot of the naysayers are blithely ignoring - the second, accidental contact that made his stumble all the more dramatic. "Come here," Murphy began, "I have to ask ya about Tadhg Beirne... his theatrics on Saturday for the penalty. Did he get much of a slagging for that? "Eh, yeah," Scannell replied, "I suppose he did. You know, I might have to use some cliches here but he got a bit of a slagging. "He was saying that his Twitter account was going a bit mental alright! Even his girlfriend was giving him a bit of stick about it. He's taken a bit of stick this morning alright. I suppose it went in our favour as well and it worked out, thankfully, but we don't like seeing people diving too much in rugby." "We were actually laughing because [Munster prop] Jeremy Loughman kind of pushed him as well. He was standing inside, which probably made it look a bit worse, so Tadhg is getting all the stick but I'd think Jez actually made it look a lot worse than it was." Even respectable figures in the game have been taken in by the dodgy angle on the hard camera side doing the rounds. The fall still had a lot of flair but Tadhg Beirne did receive to big dunts in the space of a breathless second. It is not as if he has any serious previous here, too, so the dogs can be called off.